This filter is not recommended because most notification messages and some messages from mailing lists are sent with an empty Mail From. To reject such messages you have to create a Content Filter which will match these messages. Go to the Mail Service > Rules > Content Filters tab > Add button. Choose the Where Sender Matches some words condition and Reject/Accept/Delete message action. 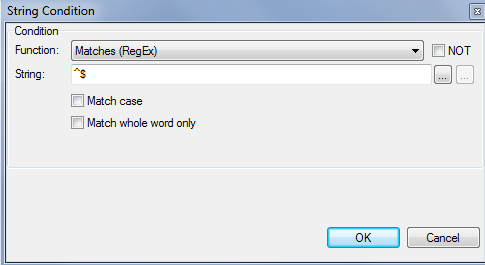 Click on some word link and choose Matches (RegEx) in the Function pull-down menu. Now fill ^$ in the String text field (explanation - ^ denotes the start of the string and $ denotes the end so here you are looking for a string with nothing between the start and the finish, an empty string). 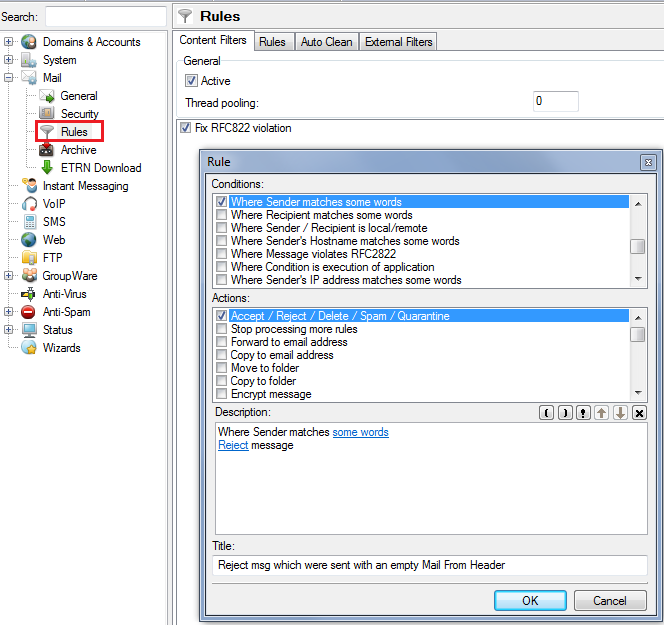 Confirm it by clicking OK. Reject action is chosen by default so you do not have to change that. Don't forget to give a titile to the Content Filter if not done already. Finish it by clicking OK again and the filter will be set properly. Tip: You can set the action to copy to email address so you can audit the rejected messages. How do I understand and correct false positives?